The mobile advertising world is taking a whole new shape with every passing day as more technologies are being developed at such a rapid rate. With newer markets rapidly emerging in different parts of the world, this is one field which marketers cannot ignore. Mobile advertisers are realizing that location is the key for the growth for any company and are implementing the same in their marketing strategy. Native advertising is increasingly become an important concept for marketers and to the digital ad ecosystem as native ads see much more engagement from users on a daily basis. This combination helps to connect an emerging ad data format with added benefits of location targeting that has been always used to deliver results to the clients. What Are Location-based Native Advertisements? Location-based mobile advertising is a type of advertising which takes advantage of the user's current geographical location. By using the real time position of the customer, location-based advertising delivers the most relevant ads to the customer about services and products available around the customer's current location. Location-based advertising makes use of the fact that almost everybody carries a smartphone with them and do not hesitate much to share their location with various apps on the phone. This provides the right opportunity to advertisers to send personalized messages to customers based on their location in real time. The messages can be customized based on their location, likes, dislikes, and preferences. Location-based Native Advertisements: The Next Frontier? 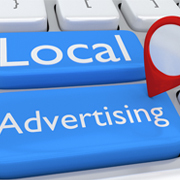 Location-based native advertisements are personalized depending on the preferences of the customer. Since personalized messages have better engagements than regular, generic messages, therefore personalized ads which are relevant to the customers based on their location are more capable of generating an interest amongst the customers. Therefore, understanding a customer's interests and personalizing the message ad is a much more sensible and effective advertising approach. With the amount of data available to marketers today, there is no excuse for pushing out ads which are not targeted towards the consumer. Gone are the days where the ads would be a simple generic message. Almost half of the mobile users use ad blockers by claiming that most of the ads that are displayed to them are irrelevant. If the ads sent are targeted properly they are less likely to be blocked or ignored. Better ad targeting results in less time and money wasted by sending the irrelevant messages to customers. One of the most beneficial aspects of location-based native advertisements is that they are timely. Location data is served in real-time, and therefore is a huge opportunity for brands and marketers to target customers with various offers and deals as and when they are around a particular store or business. Several stores use beacons which notify the store about customers being in the vicinity of the store who then can send relevant ads to customers at that very moment. This scheme has proved beneficial as customers are more likely to enter store if they know there are offers available in that store. Outsource2india has been providing mobile development services and a host of other software development services to global clients for the past 20 years. Our cost-effective solutions help companies reduce a considerable amount of time and money which would otherwise be invested in other lengthier, more costly development solutions. If you have any kind of location-based native mobile advertising needs, feel free to write to us or talk to our representatives, and we will be happy to help you.